Only a few months to iPhone 6s release and we are yet to see some of those leaked images that always look so fake but still stop our heart beats. We have seen plenty of rumors, features’ lists, and specs coming for the upcoming iPhone 6s duo, however, so far no major leaks in images. Whatever they say about pictures telling a thousand words or something? Well, it seems like today we are looking at the first iPhone 6s leaked images that look super photo-shopped but manage to flaunt some earlier rumored features. Who knows if they are actually true? Received in the inbox of 9to5mac, the iPhone 6s leaked images in rose gold seem to be something that was earlier reported by a rather trusted source of KGI Securities. 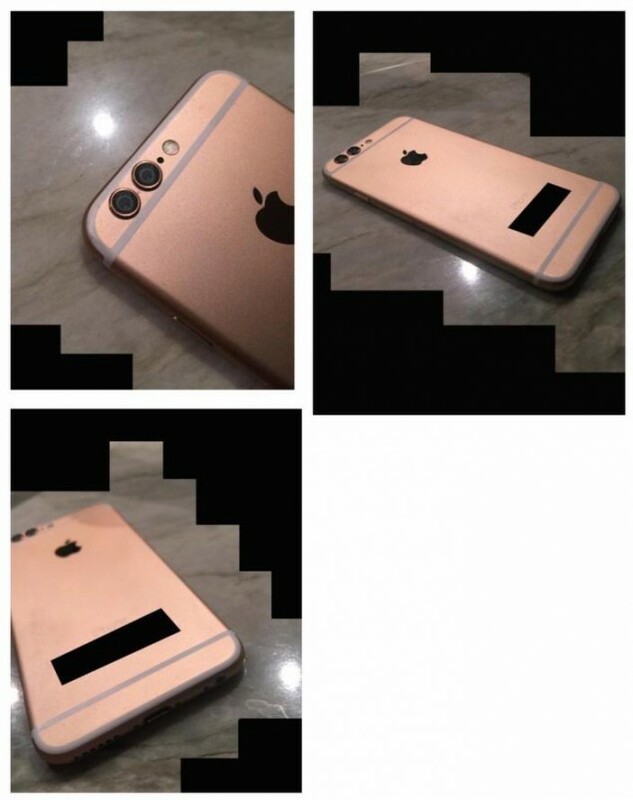 The rose gold draped iPhone 6s shows off earlier rumored feature of a dual camera. While industry expects to see some improvement in the camera department from Apple considering no major design changes are expected in this s year, dual camera still was taken as a very far-fetched feature considering Apple’s aim of not looking Androidy with such major changes. Anyway, this dual lens setup will definitely please the smartphone photography enthusiasts, that is if the feature is indeed true. Even if not, Apple is definitely expected to at least increase the iSight camera’s resolution with reduced pixel site as we had earlier reported. KGI Securities analyst had talked about this dual lens camera along with the rose gold color options that was supposed to match with the Apple Watch Edition. While we are taking these iPhone 6s leaked images with a high amount of salt (adding some lemons too), it feels good to finally see the smartphone bound to be launched in September. But dear Cupertino, can’t we get away with those ugly stripes? Pretty please!